Alpinestars has been delivering performance of the highest level on the motocross tracks of the world for over 50 years. Racing on Sunday and developing on Monday is a way of life at Alpinestars. While the riders involved in the 2018 FIM Motocross World Championship raced away at the Autodromo Internazionale e Dino Ferrari at Piazza Ayrton Senna da Silva in Imola, Italy, Aaron Plessinger spent his final week of prep before the Monster Energy FIM Motocross of Nations in Southern California. He’s still testing and training with a focus on the weekend ahead. It’s been one hell of a year for the racer from Hamilton, Ohio, with Plessinger winning both the AMA 250SX West Region Championship as well as the Lucas Oil Pro Motocross Championship 250 National Championship. But in the fierce reality that is professional motocross, a rider is oftentimes only as good as the last thing he does, and to that end upwards of 60,000 American motocross fans are hoping, expecting, and demanding a win of Plessinger and his Yankee teammates Justin Barcia and Eli Tomac. On Sunday evening, and as the 22-year-old Plessinger was beginning to pack his bags for the slog back to Michigan, we spent a bit of time with the Monster Energy/Yamalube/Star Racing Yamaha 250cc pilot. Racer X: Thanks for the time here, Aaron. I know you’re a busy man right now. Hey, before we get rolling here, were you able to watch the Ohio State and Penn State football game on Saturday night? Aaron Plessinger: No, I was actually at the Jason Aldean and Luke Combs concert. They played last night in Irvine. It was really good. My mechanic was going to the show, so we figured we should go on up there. It was awesome. It was a good time. When will you pack everything up here and head back to Michigan? 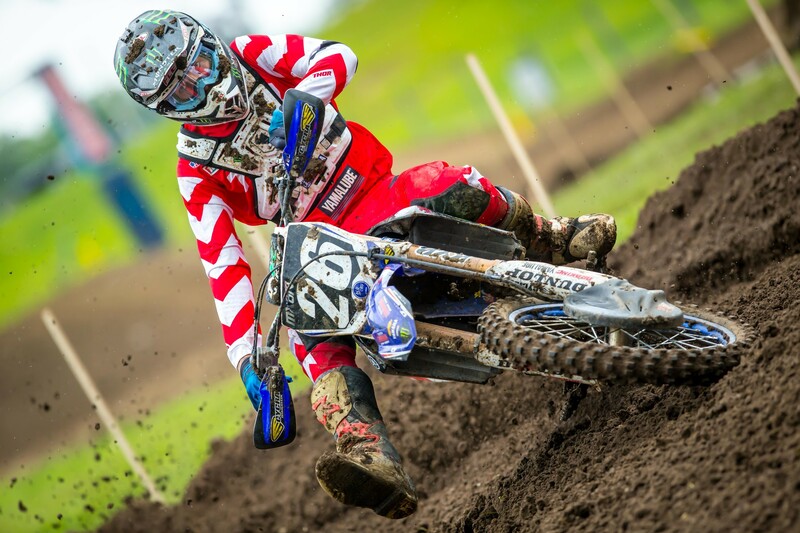 Have you been staying busy out here since the Lucas Oil Pro Motocross Championship finished up last month in Indiana? Oh yeah. I’ve been staying pretty busy. It has been a busy three weeks getting ready for this race. I’ve been putting my motos in and getting ready for it. You’ve had a relatively lengthy break going back to the Ironman race. Has it felt like you haven’t raced in a while? Yeah, it’s been a little bit. It has felt like a long break, for sure. I’m really ready to get going. An exciting race to be a part of? Oh yeah. I’m more than excited! I don’t know… I think every time I think about it, I get more and more excited about it. Were you able to watch any of the action from the MXGP of Italy today? I haven’t watched it just yet. I’ll probably catch up with it a little bit later. Yeah, Jorge Prado has been ripping, for sure. He and Pauls Jonass were going at it pretty good before Jonass got hurt. Prado will be a tough one. The MX2 class will feature an impressive lineup of talented racers come RedBud next weekend. Do you know much about the guys you’ll be lining up against? Um, not really much about most of them. Obviously, Dylan Ferrandis and I race against each other. Hunter Lawrence came over here during the middle of his outdoor season in MX2 and was testing with Honda. He got to ride over at Pala and we got to ride with him a little bit. He’s a really good rider. I’m excited to see how it shapes up because those guys are really fast and they have some good skills, and I can’t wait to see what they’ve got for me. This is something Dylan Ferrandis said to me last week when I asked him about racing the 250cc classification at the MXoN. I wanted to get your opinion on this as well. He said, “It’s my opinion, but I think that in the des Nations, all three riders are important, but the guy who can make the big difference is the 250 guy because in the two motos, you have to fight with 20 guys with much more power than you because they are on a 450 and you are on a 250. I think to ride MX2 in the des Nations is the most difficult and most challenging job on the team. I talked to Aaron Plessinger, my teammate and also my enemy for the des Nations, and told him, ‘Yeah, the 250 guy has the toughest job of the des Nations.’” Any thoughts? Yeah, definitely. I think the 450 guys can do what they do and we’ve just got to do our best on the 250s, you know? We need to pass as many guys as we can coming off that start because I don’t know if we’ll match up to the factory 450 guys off the start. Those bikes are pretty fast. I mean, we’ve got some fast 250s, but the 450 bikes are unreal up there. Yeah, we’re just going to have to dig deep and rip for 35 minutes and hopefully we come out ahead. I’m wanting a moto win! I hear they’re calling for some rain next weekend, so anything can happen. Yes, some rain and some mud and some ruts, that’s your Ohio upbringing right there. Oh yeah. It’s a little sandy up there in Michigan, so it can handle a little more rain that Ohio can. You know I’m always down for a little mud. Have you been able to speak with your Motocross of Nations teammates during the past few weeks? Yeah, Justin Barcia and I have been riding quite a bit together and we did some motos at Pala together and we were on it, man. He was pushing me and I was pushing him, and it was a good time. It was definitely beneficial for the both of us, and I think we did some good motos and got some good work in, so I’m excited to see how Justin does too. Justin definitely seems like he is very fired up about the MXoN. We’re both ecstatic about this race. I’ve haven’t seen Eli, but you know that guy; you know he’s putting in the work. He’s always putting in the work. 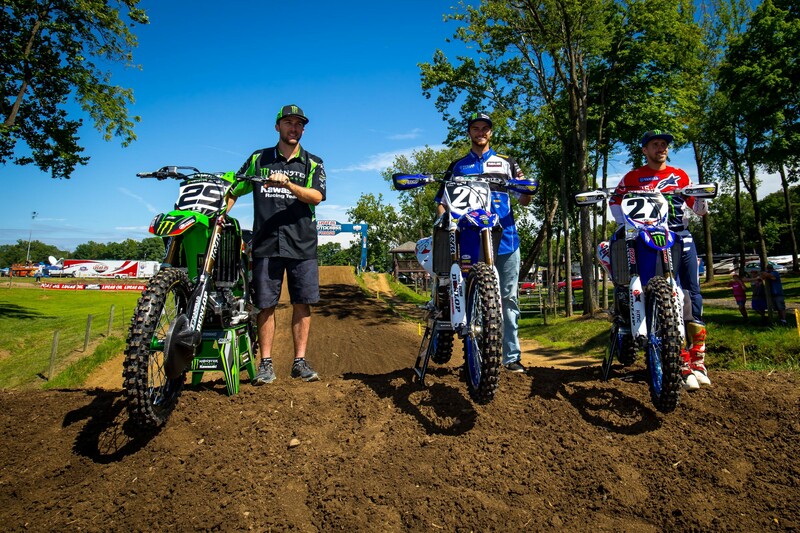 Are you going to have quite a few members of the Plessinger camp up from Ohio for the race next weekend? Yeah, it was kind of hard to get tickets and all that late-notice, but yeah, I think a lot of people are going to be coming from Ohio up to Michigan and dressed in red, white, and blue. It sounds like there is going to be a biblical-size crowd at this race. Yeah, it’s going to be unreal. I think they said that there will be close to 65,000 people there or something like that. That’s about 40,000 more fans than the national this year. I also know camping sold out about two months ago, so it’s going to be one of the biggest races in the United States in a little while. With timed practice and training and qualifying motos and all of that, any sort of game plan formulated in your head for the approaching race weekend? Yeah. Obviously in qualifying I’m going to go for it, for sure. I’m going to try and establish my place in the MX2 class and then on Sunday, hopefully we get a real good gate pick. I’m just going to get the best start that I can and do whatever I can to get past the guys I need to and hopefully we’ll end up in front. We haven’t won the Motocross of Nations in six years now, and the American fans aren’t going to settle for anything less than a win at RedBud. Yeah, there is going to be a lot of pressure, but knowing you, I think it’s going to be a fun sort of pressure. What do you think? Oh yeah. It’s definitely fun pressure. I think we’ve got the best team on the track, and I think we’re going to win it. That’s my prediction. I think we’re going to win it, and I think RedBud is just going to blow the top off itself!